Upon reaching low middle-income status, Bangladesh has the aspiration to be a developed country by 2041. To meet this aspiration, on an average Bangladesh's gross domestic product (GDP) needs to grow around 10 per cent or so over the next 25 years. Basically, there are three different means of driving the growth: 1. Capital, 2. Labour, and 3. Total factor productivity (TFP). The growth infused by technology and innovation is primarily termed the TFP contribution. At present, it appears that TFP is driving only 0.3 per cent economic growth of Bangladesh. Experts suggest that in order to attain 10 per cent growth, the TFP's contribution to economic growth should reach around 4.5 per cent-15 times higher than the current state. In addition to possibilities, there are also overwhelming challenges in driving up the TFP's contribution. As far as the opportunity is concerned, technology innovation opens an endless frontier of growth. Technology innovation offers the opportunity of increasing quality, reducing cost and lowering carbon footprint-three critical factors for growth. By harnessing technology and innovation, if Bangladesh keeps improving quality and reducing the cost of whatever is being produced, the economy is bound to keep growing. The concern could be the pollution absorption capacity of the environment. Production is a direct contributor to carbon emission, causing pollution and climate change. The higher the production, the more the pollution and worsening climate change effect. Although it's far lower than many other countries, Bangladesh's per capita carbon emission increased from 0.18 tonnes in 1997 to 0.46 tonnes in 2016--growing at an average annual rate of 5.17 per cent. The recent surge of power generation out of fossil fuel is accelerating the carbon emission in Bangladesh. Moreover, due to the high population density per square kilometre, the implication of carbon emission on human health in Bangladesh will be far higher than other countries having similar per capita carbon emission. Such an inevitable effect of production has raised both pollution and climate change effect to an alarming level. Bangladesh at a very early stage of development is facing a call for regulatory measures to reduce carbon emission. But fortunately, as opposed to regulation, advanced technologies like artificial intelligence perhaps have the possibility to intensify competition for increasing profit through lowering pollution and climate change effect. But what does Bangladesh need to do to exploit this endless frontier of growth? Conventional suggestions are 1. Increase science and engineering graduates, 2. Increase research and development (R&D) finance for accelerating the production of intellectual assets like publications and patents, 3. Impose intellectual property rights, and 4. Provide risk capital and incentives for ideas to grow around intellectual assets. It seems that the complexity in addressing the first three suggestions is very much within the rich of Bangladesh. Increasing the R&D finance from less than 0.1 per cent of GDP to 2.0 per cent of GDP over the next 10 years does not appear to be a significant hurdle, if R&D investment keeps producing an attractive return. Providing risk capital does not appear to be a difficult proposition either. But turning ideas into profitable revenue appears to be a difficult one. Technology innovation offers a growth opportunity to Bangladesh, but on the other hand, this vital tool is also rapidly eating up Bangladesh's underlying core competitive advantage- low-cost labour. For many developed countries, advanced technologies are a blessing to capture higher productivity growth as their GDP growth momentum slows-in many cases, partly reflecting the challenge due to aging populations. But as observed by Mr. Hamilin. K. and Mr. Roberts in a recent op-ed, automation threatens to block the ascent of Asia's poor, creating a discontinuity in the economic model witnessed by Asia. It's being argued: "The window is closing on emerging nations. They will not have the opportunity that China had in the past." With the aging population and growing income level of China, it was natural that labour-intensive jobs would keep migrating to countries like Bangladesh, Cambodia, and Myanmar helping them to climb the ladder-but automation threatens to block their ascent. 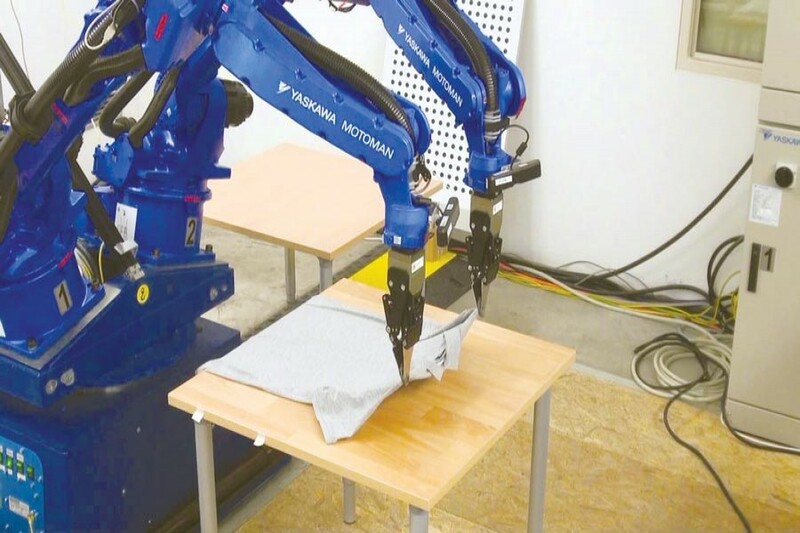 Although robotics and automation are posing a threat to labour-intensive jobs in developing countries, a broad array of technologies are also opening significant new opportunities. For example, in a report, Mckinsey (2014) mentioned that the leveraging of 12 technology potentials could make 20 to 30 per cent contribution to incremental GDP growth of India from 2012-2025-resulting in $500 to $1000 billion additional economic benefits. It was also mentioned that AI centric precision agriculture has the potential of increasing the agriculture yield by 15 to 60 per cent. But, how to create the capacity to deal with the challenges and capitalise on the opportunity appears to be at the core of exploiting the growth opportunity from technology innovation. Designing R&D and Innovation Market by encouraging an increasing role for the private sector appears to be a core competence need. Increasing finance from public sources supporting R&D leading to a growing number of publications, patents, and research degrees seems to be an easy job. The challenge is to make those outputs relevant to the economy and convertible to product and process features so that the economic benefit derived from them is far more than the R&D expenditure. Bangladesh must address this later challenge in creating a market of innovation for increasing the private sector investment in R&D. Although Bangladesh's R&D investment is very low, as low as 0.1 per cent of GDP, the R&D productivity appears to be extremely low. Hardly there are references that R&D investment is stimulating economic growth, particularly in the industrial sector. Bangladesh's relative performance in intellectual property is also quite low. For example, in 2015, only 112 patents were filed in Bangladesh. On the other hand, Vietnam and India filed 679 and 23,844 patents respectively in 2015. Certainly, such numbers are quite insignificant to the whopping number of patents filed by China in 2015, which was: 1,010,406. To benefit from R&D and innovation, Bangladesh faces two major challenges. The R&D finance to is to be increased reaching above 2.0 per cent of GDP by 2041, and most importantly, on the other hand, the R&D outputs need to be converted into economic growth leading to TFP contribution of 4.5 per cent to GDP by 2041. The demonstration of R&D investment in producing attractive return will lead to an increasing flow of private sector investment, consequentially creating a market of R&D and innovation. It appears that Bangladesh's agenda of being a developed country by 2041 primarily hinges on the success of creating a private sector-driven R&D market for knowledge generation and its conversion into profitable economic outputs. Linking education to economic growth appears to be another major area for Bangladesh to focus on to leverage technology innovation in driving growth. So far Bangladesh's higher education sector has been entrusted with the mandate of producing graduates. But, there appears to be a significant mismatch between the outputs of higher education, institutions and the human capital need of the economy. As a result, Bangladesh has been facing an alarming reality-higher the education lower the chance of getting jobs. Moreover, the salary gap between high-school dropouts and fresh university graduates has basically disappeared. An increasing number of foreign managers are draining out as high as $5.0 billion from the country and on the other hand, the unemployment among university graduates is growing to an alarming level. In the given context of Bangladesh's need to increase the role of TFP to meet the GDP growth target for being a developed country by 2041, universities should take a new role: add innovation to the economy and create jobs. Such role changing will start creating a positive externality effect on the job market. In absence of this new role, it might be impossible for the economy to create productive high-income jobs for 40 million students. Universities should be given the assignment of undertaking research to add innovation to products and processes to produce them for increasing the quality and reducing the cost so that competitiveness of the economy improves, and on the other hand, they produce graduates with the productive knowledge required by the industry. Moreover, such a change of the role will lead to accumulation of a new substantial competence base leading to the creation of new products, firms, and industry-creating a positive externality effect on the job market. In addition to building export processing zones for creating jobs for the unskilled labour force, Bangladesh must focus on building entrepreneurial universities to leverage science, technology, and innovation. Upon exploiting natural resources and manual labour-based productive activities, Bangladesh has the only option left to keep growing: increase the contribution of technology innovation. But the progress of technology is continuously eroding the labour advantage of Bangladesh. On the other hand, there is no natural correlation between indicators like science and technology graduates, intellectual assets like publications and patents and economic growth. In addressing challenges coming from technology innovation to the task of exploiting growth opportunities, Bangladesh should focus on creating the market of R&D and innovation for producing a profitable return from the investment made in science and technology. On the other hand, higher education institutions should be uplifted from the role of mere producing graduates to be the driver of economic growth through broadening the knowledge base. M. Rokonuzzaman, Ph.D. is an Academic, Researcher and Activist: Technology, Innovation and Policy.